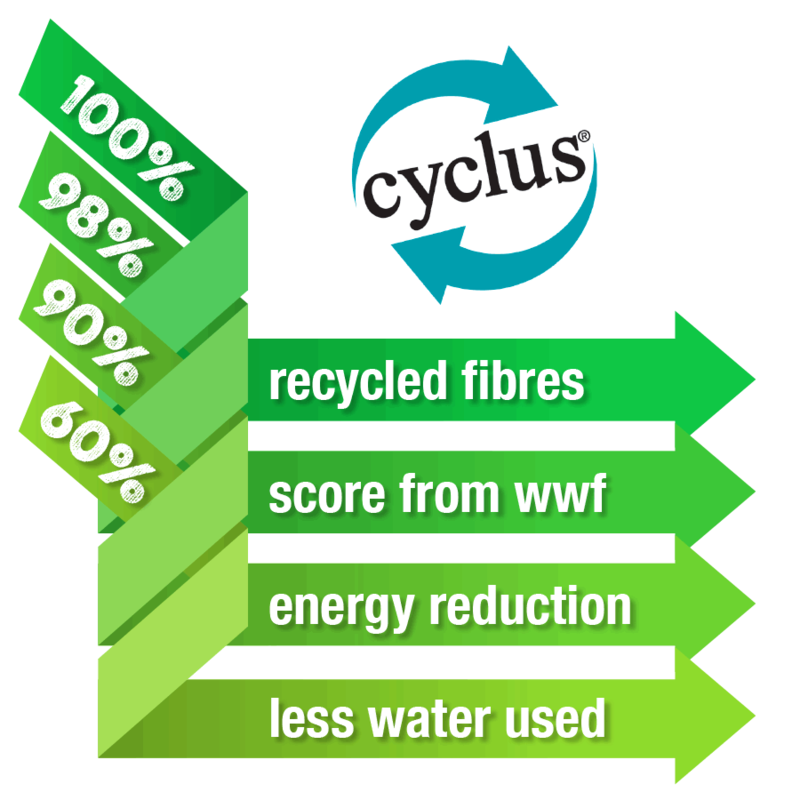 It is produced from 100% recycled fibres, with a manufacturing process that requires one tenth of the energy used to produce virgin fibre papers. The mill recycles 120,000 tonnes of waste paper every year. When compared to the manufacture of non-recycled paper, they reduce the energy consumption by 90%, use 60% less water and the CO2 emissions are incredibly low.